If you’ve got a criminal record, you’re not alone. Hundreds of thousands of people across the UK have some sort of minor brush with the law in their past. Many might have a more serious criminal conviction. It’s certainly not true that a police record means never working again. But it’s also true that you can’t just forget about your past or leave it behind you. Are there some jobs which are ruled out completely if you have a criminal past? It’s natural to think that the police aren’t going to employ anyone who they have arrested in the past. It might come as a real surprise to find out that cautions, convictions or arrests are not automatically a bar to joining the police force. 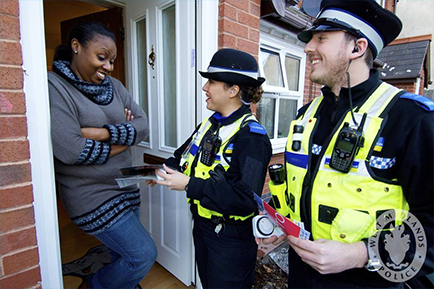 The Police have their own vetting process for people applying to join. This is similar to DBS checking, but also looks at the background and family of the applicant. There are no hard and fast rules about what convictions will rule out a career in the police. In general terms, anything dealt with by a fixed penalty notice, such as littering in the street or speeding, will be disregarded. Anyone applying to join the police also has to give details of their family members and close friends. Their backgrounds are checked too. Applicants might not know the exact details of a brother or wife’s convictions, but should declare as much as they do know. Similar rules apply to other people working in the legal and prison sector. The situation gets even more complex if you are thinking about joining a profession which has a regulatory body. For example, you can’t call yourself a Chartered Accountant without being a member of their professional body, and all doctors are members of the British Medical Association. This type of organisation often has its own rules about membership. Again, these vary but in basic terms, if you’ve had a custodial sentence you are unlikely to be accepted as a member. In practical terms, this means the jobs are barred to you. The final category of jobs is anything requiring an enhanced DBS check. These are usually jobs working with children or in healthcare settings. The Home Office holds a “barred list” of people whose crimes mean that they cannot work with these groups. Usually, they are violent criminals or sexual offenders. It is a criminal offence for people on these lists to apply for jobs needing a DBS check. For other jobs, decisions are made on a case by case basis. It’s not illegal for employers to decide they don’t want to employ anyone with a criminal record. However, it is illegal for employers to run DBS checks if the role doesn’t require it.